The Rita Collective is a chamber group from Rochester, NY that plays original and world music with a jazz slant. Performances by the Rita Collective include original compositions written for the group’s unusual instrumentation - bass clarinet, marimba, acoustic bass, and percussion - melodies from the Middle-East or Africa, re-invented jazz tunes from one of the masters like Miles, and re-imagined pop tunes from Rage Against the Machine or the Beatles. The unifying thread for this group is the improvisatory approach to the music, and the deft playfulness of the musicians that create it. 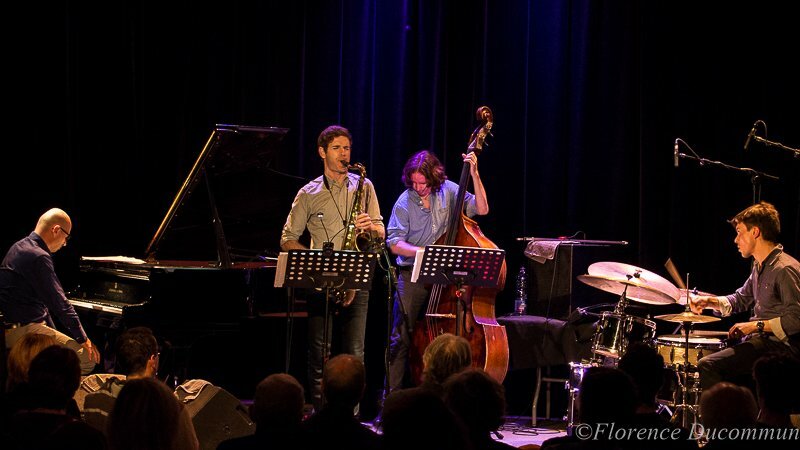 The group has a sound and feeling rarely found in the jazz world. The bass clarinet is at times hauntingly lyrical and at other times deeply sinister, a fascinating compliment to the beautiful woody tones of the marimba. Acoustic bass supports the melodies with a strength and warmth that rounds out the group, and an altered drum kit reaches beyond the traditional color pallet of drum set to infuse the music with a diverse world beat. Together, these wooden instruments resonate with a warmth and clarity that connects the listener to the music. 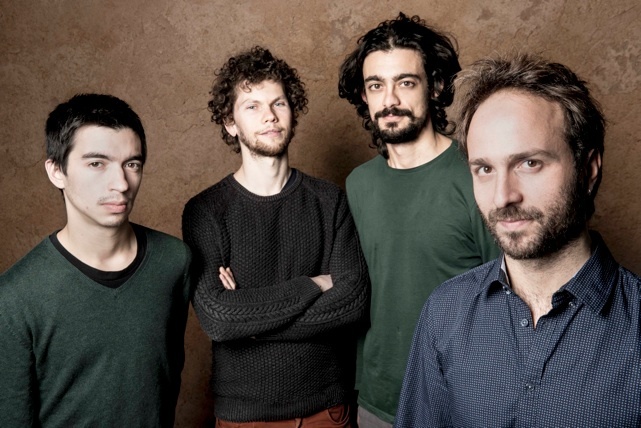 The idea to form an acoustic world jazz group sparked when bandleader, Dean Keller, heard The Astounding Eyes of Rita by Tunisian oud master, Anouar Brahem in 2010. “His disc has such an honesty, warmth, and grace that I had to listen to it over and over. I knew then that I needed to find the players to make music like that!”, says Dean. The search for the right players took 3 years, but finally in the fall of 2013, The Rita Collective found the right line up of Dean Keller (Dave Rivello Ensemble, Rick Holland Little Big Band) on bass clarinet, Kristen Shiner McGuire (RPO, Nazareth College) on marimba and vibes, and Kyle Vock (My Plastic Sun, The Mighty High and Dry) on bass. In 2015, the group welcomed percussionist Joe Parker to the group. As individuals, these players have played it all, but as a Collective, they come together in a musical conversation that feels like tea with world leaders at the U.N. Drawing melody and language from Tunisia, Uganda, England, Cuba, United States, Ethiopia, and more, the improvisations of the Rita Collective are more than simply Jazz solos, they are melodic interplay, finding the common ground in the diverse music that inspires us. 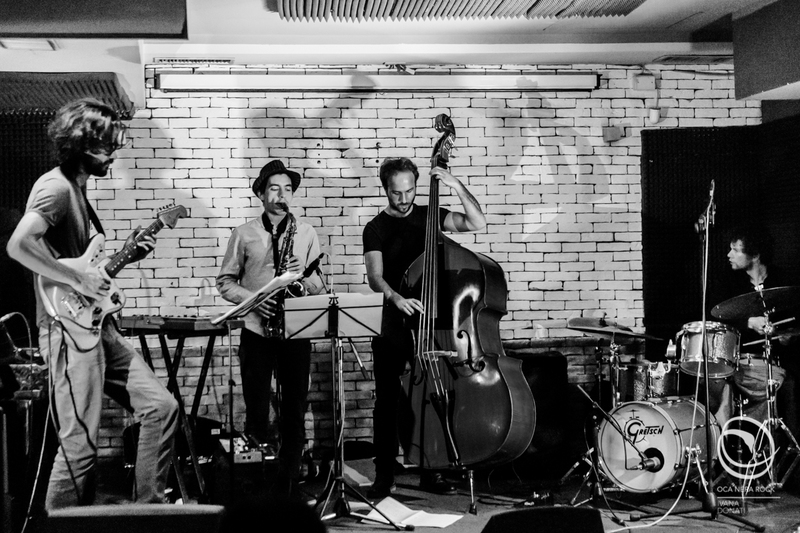 Come out to hear the big acoustic world jazz sound of the Rita Collective as they bring their musical journey to a live music venue near you soon. To find out where you can hear the Rita Collective live, visit the Performances page. 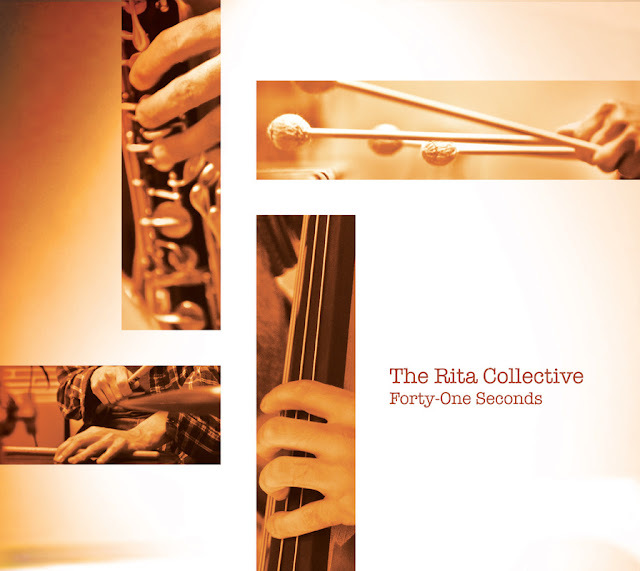 Visit the Media page to hear recent recordings from The Rita Collective. The Rita Collective is proud to release their first CD, Forty-One Seconds on April 17, 2016. Forty-One Seconds is the first release from the Rita Collective, a chamber group from Rochester, NY that plays original and world music with a jazz slant. The music featured on this intimate recording is a collection of new and original works, plus select arrangements written for the group’s unusual instrumentation (bass clarinet, marimba, acoustic bass, and percussion). 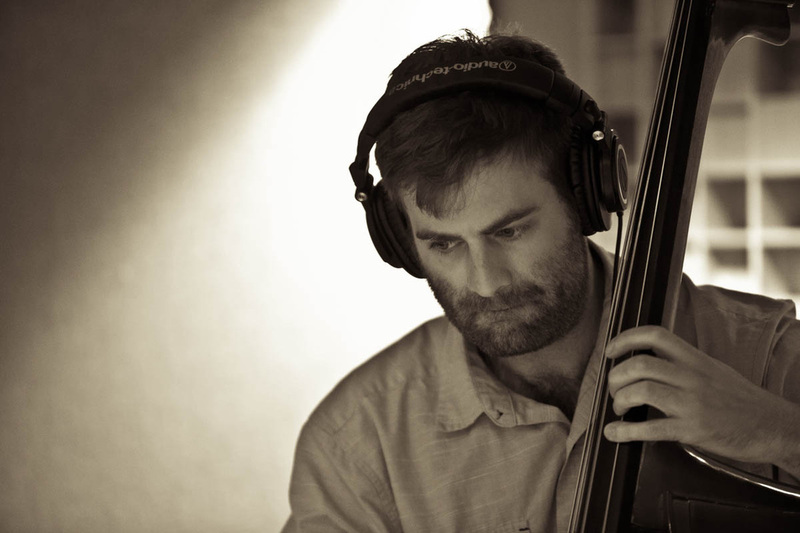 This recording captures the improvisatory interplay and dynamic sensitivity of the group, exploring film noir, tone poems, middle-eastern melodies, and even a little funk. Pentagonal Prism is an exploration two very different styles that have influenced my playing over the years: middle-eastern and funk. 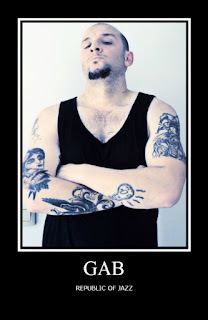 The melody is harmonically derived from the blues and rhythmically middle-eastern. I set it over two different roots and bass ostinatos to create a middle-eastern first half and a funky second half. No Return is an original written for The Rita Collective by David McGuire. It is an uptempo swing piece that conjures film noir in a playful way and gives Kyle some room to stretch a bit. Slow Snow is an original of mine built on three phrases: a meditation, an ostinato, and an angular melody. Each voice in the group gets to play all three parts as the ideas are layered together in the development of the piece. On a side note, this is the first piece of music that I wrote for the group...really the first piece I've ever written. The Astounding Eyes of Rita is the title track from the ECM recording by Anouar Brahem. I included it on our first CD, not only because it is a great melody, but also as a way to say thank you to Mr. Brahem for inspiring the formation of the Rita Collective with his music. Sky Sketches is a contrafact I wrote on Miles Davis’s Flamenco Sketches to feature the versatile flugelhorn playing of our friend Mark Collins. Healing is an original tune I wrote after missing a gig and days of practice due to a split lip. It felt so great to play again after healing that the first six notes that came out that day became the beginning of this melody. Dark Heart is a moody piece written by our good friend David McGuire, who describes the piece like this, “Dark Heart is a labyrinth where listeners can wander, be misled and encounter the unanticipated; contemplating the nature of irreconcilable or uncanny or impenetrable situations (that we may find ourselves suddenly implicated by or caught in) can be a somber affair—dark heart—but there is nothing necessarily fatalistic in this—labyrinths can be escaped—or evaded—or transcended”. Kyle always says it reminds him of the inner workings of a clock, with many little parts all ticking away, sometimes separately and other times together. Dance with Waves was the first tune I discovered on Anouar Brahem’s disc. 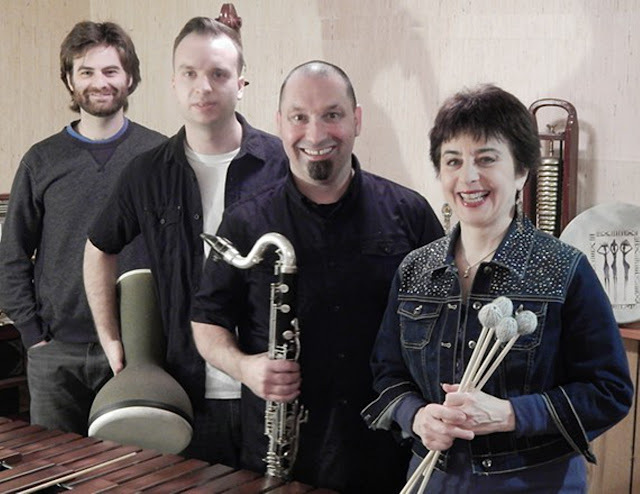 I stumbled across it on Youtube searching for “jazz bass clarinet.” Anouar’s group features the incredible bass clarinet playing of Klaus Gesing, whom I was fortunate enough to get a lesson with when he was in Rochester for the XRIJF in 2014 with Norma Winstone. Killing in the Name might not seem to be the best fit to cover for a chamber music group, but with a few little twists, and some room for Matt to stretch out, it is an exciting addition to this recording. Gotta Gig(ue) and Epilogue are movements from a suite that Kristen wrote many years before the formation of the Rita Collective, but seemed such a natural fit for us to open up a little bit and have some fun. 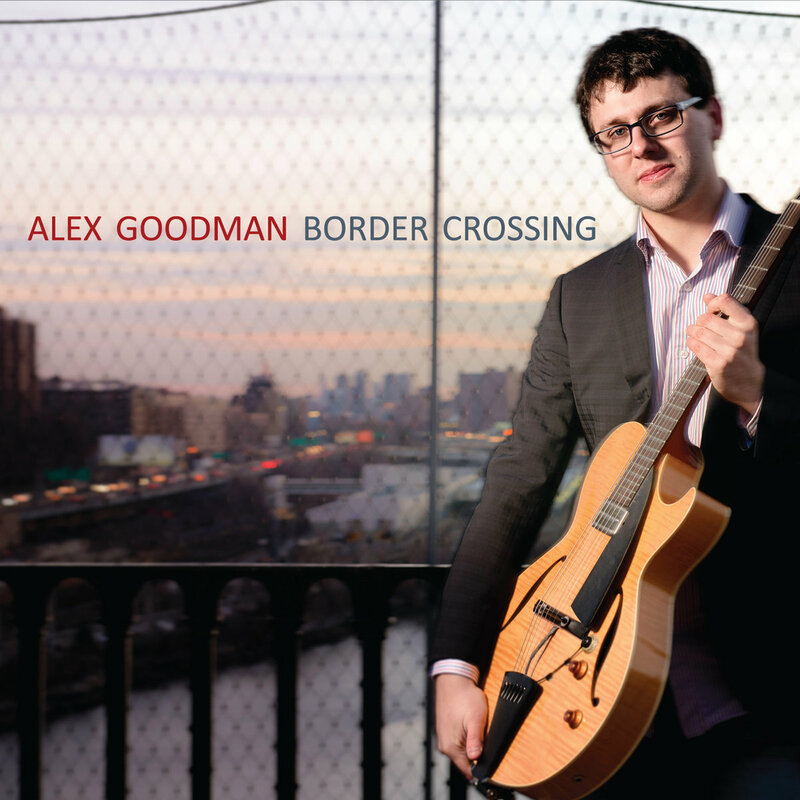 Winner of the 2014 Montreux Jazz Festival Guitar Competition for his playing and the 2013 Herb Albert Jazz Composer Award for his writing, Alex Goodman brings them both together in this set of original compositions reflecting on the transitional period during his move from Toronto to New York in 2012. Connecting favorite musicians from Canada and New York, the music draws heavily on his rich musical upbringing as a member of Toronto's eclectic jazz community and the interaction with his experiences over several years in New York. A wide-ranging project with modern classical, jazz and world music elements, along with instrumentation including cello, vibes and voice, "Border Crossing," in the end, is a truly personal statement with a soul that can resonate with all. 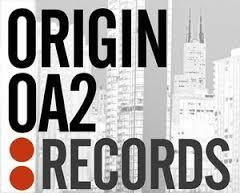 Their first work has been released in March 2013 (Zone di Musica rec. 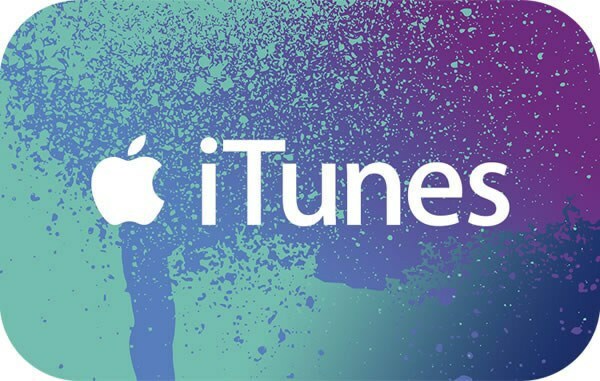 ): the album received some important press awards as the “Révélation Jazzman” and “Jazz Découverte” in France as well as “Jazzit likes it” in Italy. Since then, they toured around Italy, Belgium, France and United Kingdom.“Time Images”their follow-up album, has been released In September 2015, by Auand Records (promoted with the help of Puglia Sounds). Portraits are a fascinating form in painting and fiction. Someone's presence and personality can be conjured with a mere sketch or with an abundance of detail, while the inner world and sensitivity of the artist is demonstrated by what he chooses to observe. Music is often used as a medium for self portrait; what if it could also convey the personalities of others? 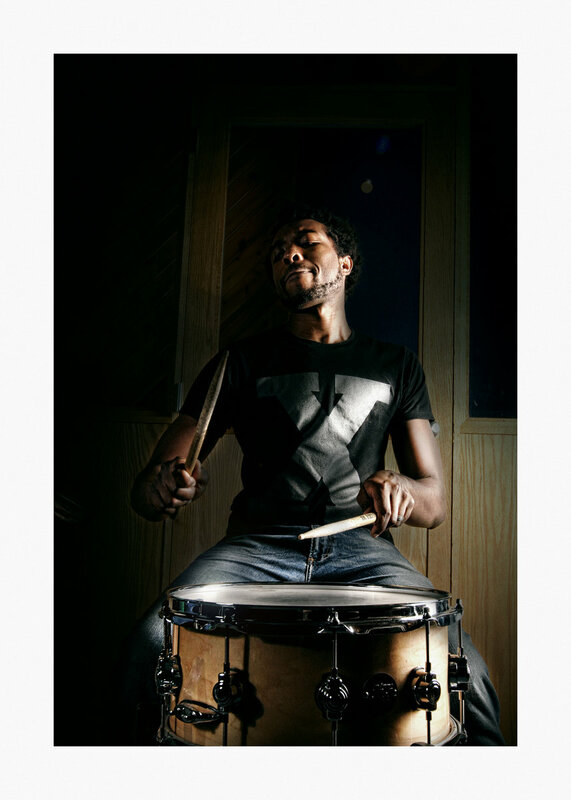 Portraits is an answer to that question, through the lens of Paris born and New York based drummer and composer Guilhem Flouzat. This sophomore album comes five years after his first release, One Way...Or Another, hailed by a French critic as "the work of a musical architect to which you can listen again and again". 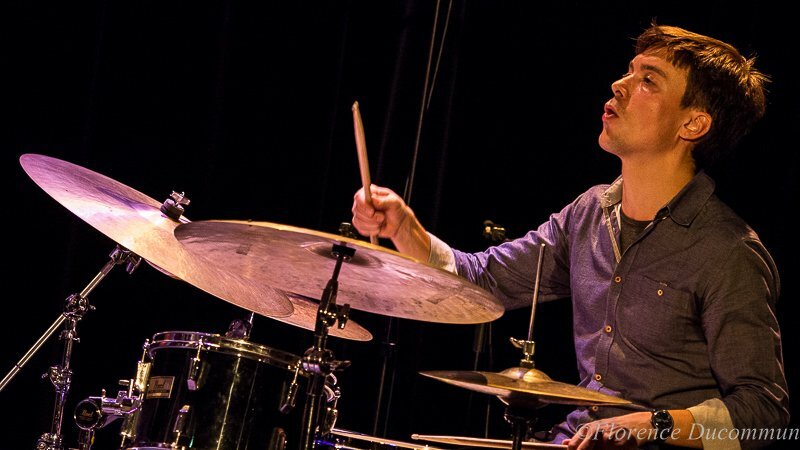 In five years he built a brilliant and steadfast musical family, with mentors such as Eric Harland, Ben Wendel and Dan Weiss. He has played and recorded with the likes of Steve Wilson, Lionel Loueke, Gilad Hekselman and Dave Liebman, honing a musical language expressive and unique, somewhere between the fire of the New York scene and the introspective lyricism of French composer Francis Poulenc. When the opportunity came to join Sunnyside for his second album as a leader, Flouzat chose to honor his musical family, working for two years on a gallery of musical portraits, a thrilling aesthetic challenge for a young composer. 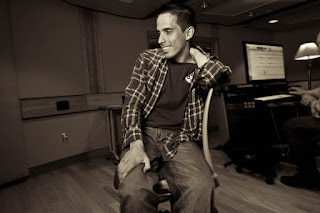 Rather than dedicating finished pieces after the fact, he organized the writing process around his subjects: their musical influences and writing styles, favored harmonies and even personality traits were used in the making of the compositions. The process owes a great deal to sampling and impressionism, with all the tools of traditional composing: motifs, inversion, augmentation... The culmination of the project, however, was to invite the musicians, all of them part of the process from the start, to interpret their own songs. Improvisation completed the portrait, allowing for a new meaning with each performance. Flouzat curated a series of nine songs with five different line ups, creating a unique gallery over the course of two studio days. More than just sidemen, the musicians are close friends of Flouzat, and a written portrait accompanies each song. The opening composition, "Ben's Song," aims at conveying the urgency and infectious lyricism of Ben Wendel, who was already present on Flouzat's previous album. In "Where We Should Go", the subtle portrayal of a newborn love, vocalist Becca Stevens delivers a stunning performance of lyrics written by the leader himself. "Underachiever" is a gently ironic nod to young lion Adam Larson, an odd meter tour de force morphing into a hypnotic trio tune. "At This Juncture In Time" uses the haiku metric form, contrapuntal lines and rich modulations dear to altoist Jay Rattman to portray him. The one self-portrait of the album, the ethereal lullabye "A Dream" features interplay between Becca Stevens and the band that reaches telepathic heights. 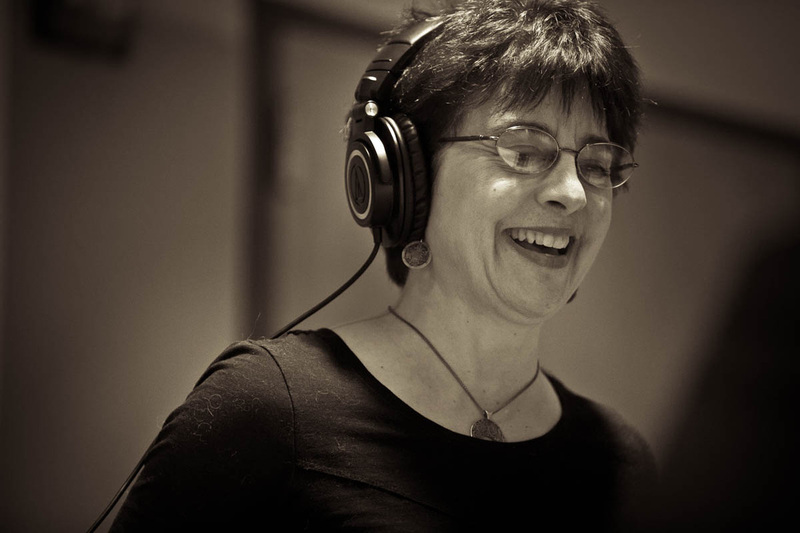 "Sleepwalk" is a brooding landscape designed for flautist Anna Webber, while "Truce" inverts one of pianist Laurent Coq's own compositions to honor his influence on Flouzat's music. 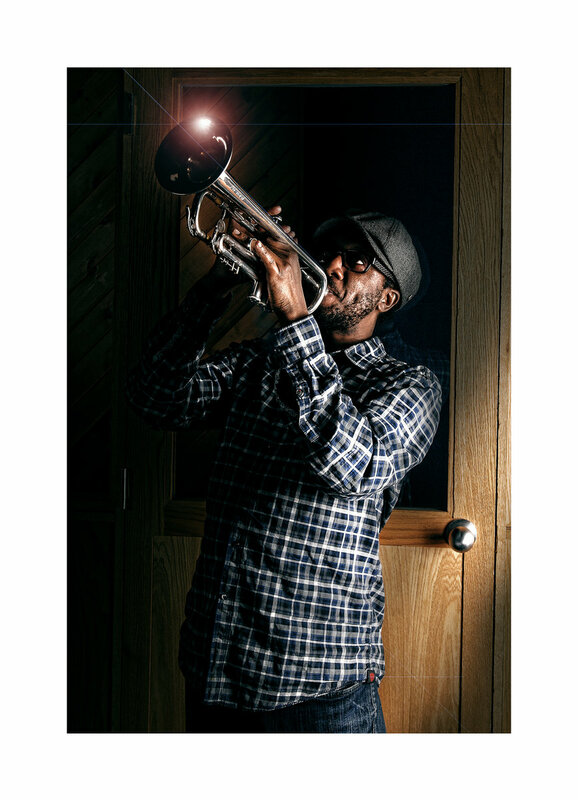 The album ends with tributes to the two other members of the rhythm section, Can Olgun on the through-composed "What's Up Yourself", and bassist Desmond White on the songlike "Knight". Portraits is at once invigorating and evocative, a compositional feast steeped in many art forms. 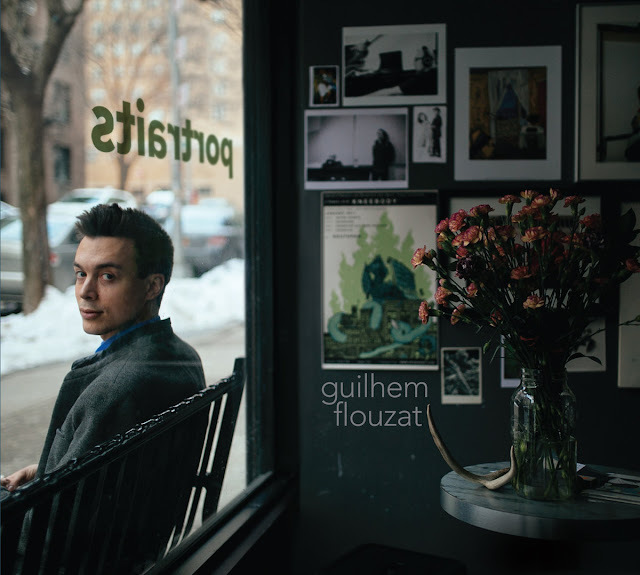 Guilhem Flouzat's versatile playing is always at the service of a broader musical vision; the trust and emotional bond between the musicians is on display throughout. Led by rising stars Ben Wendel and Becca Stevens, the portraits' subjects add another dimension to this artistic statement of uncommon strength. 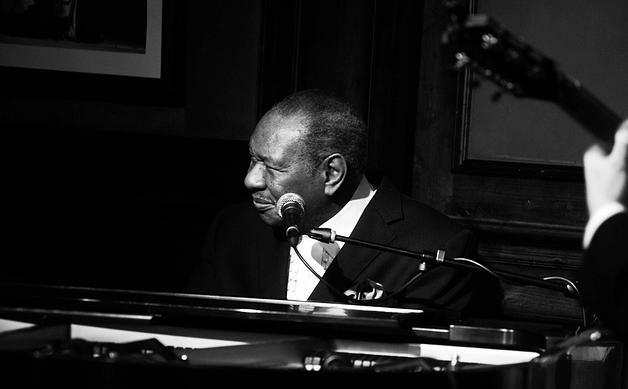 Singer and pianist Freddy Cole has come full circle. 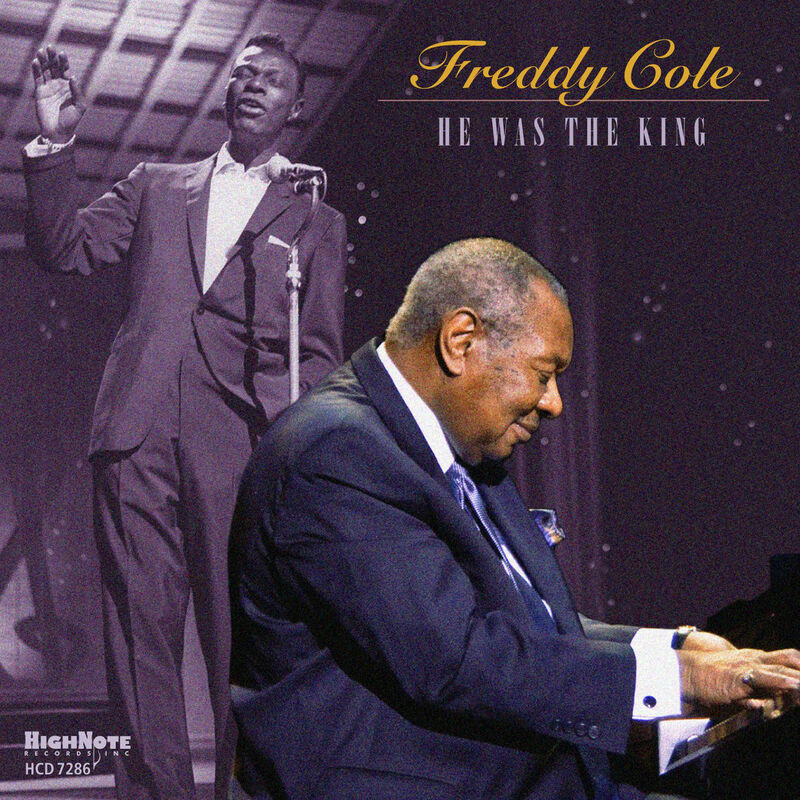 One of his early recordings contained a well-penned response to what must have been a deluge of comparisons to his legendary brother, Nat “King” Cole. I’m Not My Brother, I’m Me was a heartfelt and witty finger in the eye to the wags who simply couldn’t separate the two. It set the tone for Freddy’s distinguished career of establishing his own voice in what must have been the most daunting of challenges. For at least a couple of decades, Cole the younger has been warbling his way through a songbook that Nat would have applauded but likely avoided. His choices are tasteful, if not earth-shattering. With He Was the King, Freddy has buried the sibling rivalry axe. He’s gone so far as to take on a few of Nat’s signatures, “Mona Lisa,” “It’s Only a Paper Moon” and “Sweet Lorraine.” Fair enough, but kudos to Cole on the other choices that only a die-hard Nat devotee may be able to connect. With Natalie gone and Freddy aging, this may be the last of the Cole legacy. 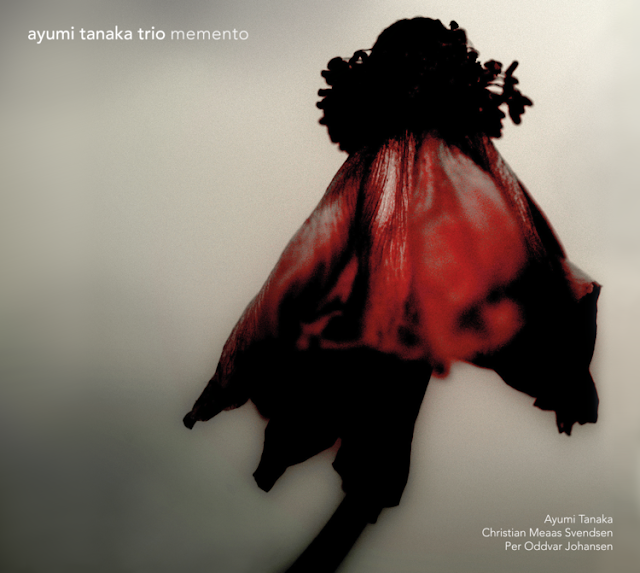 «Memento» is Ayumi Tanaka Trio’s debut album, and a solid statement from the japanese born composer, pianist and band leader. 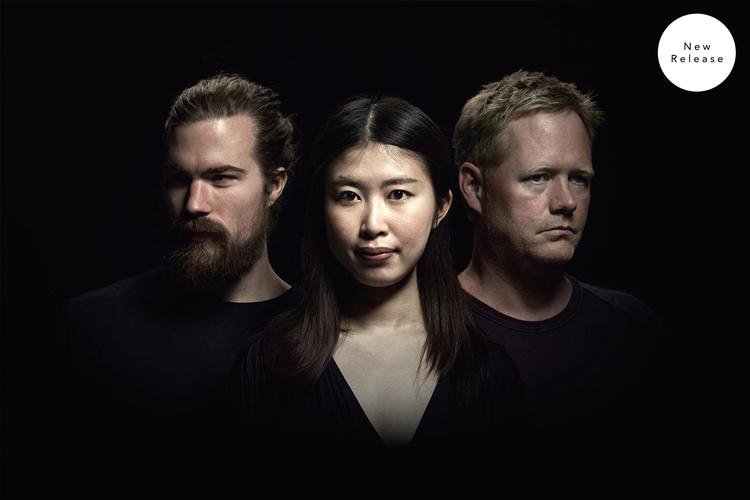 Together with two highly acclaimed norwegian musicians: up and coming Christian Meaas Svendsen on bass and grammy-winning Per Oddvar Johansen on drums, the trio thoroughly explores their unique musical universe thoughout an album that challenges the traditional piano trio format. Ayumi Tanaka has developed her unique musical persona by drawing from ideas and inspiration found in japanese art, music and philosophy. By carefully examining these influences and then combining them with a strong fascination of nordic jazz, she delivers a very complex and unique statement as a pianist. 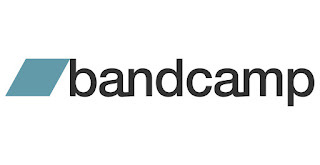 The music can be described as free, atmospheric, and melodic with compositions that are mainly based on individual ideas and segments intertwined with free collective improvisation. The compositions are dedicated to Svendsen and Johansen, intentionally leaving a lot of space in order to make use of their strong musicality and creativity. «Memento» is an album that slowly unfolds itself, that never lacks direction or intent, and that develops beautifully by spontaneous interaction between three strong willed, but selfless musicians. 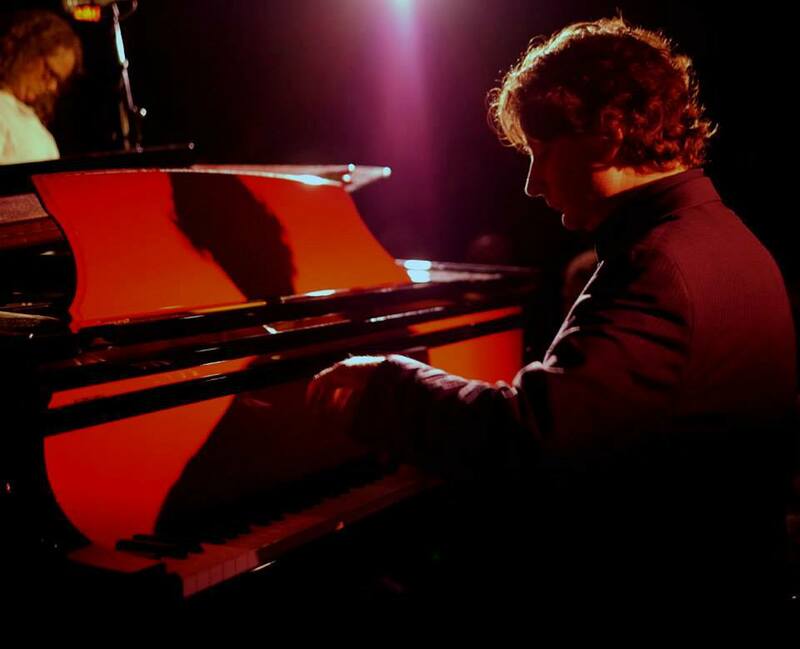 David Restivo is an award-winning pianist and composer and educator, well-known for his work with Rob McConnell and the Boss Brass, the Mike Murley Quintet, and legendary songwriter Marc Jordan. 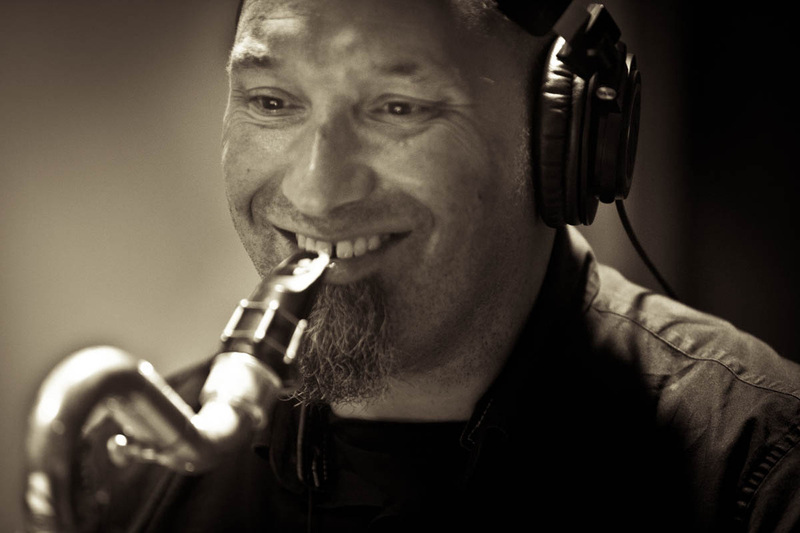 Born in Lansing, Michigan, molded by the mountains and coasts of New England, and based primarily in Toronto, Canada since 1982, he has long been a sought-after and influential figure in Canada’s jazz community. 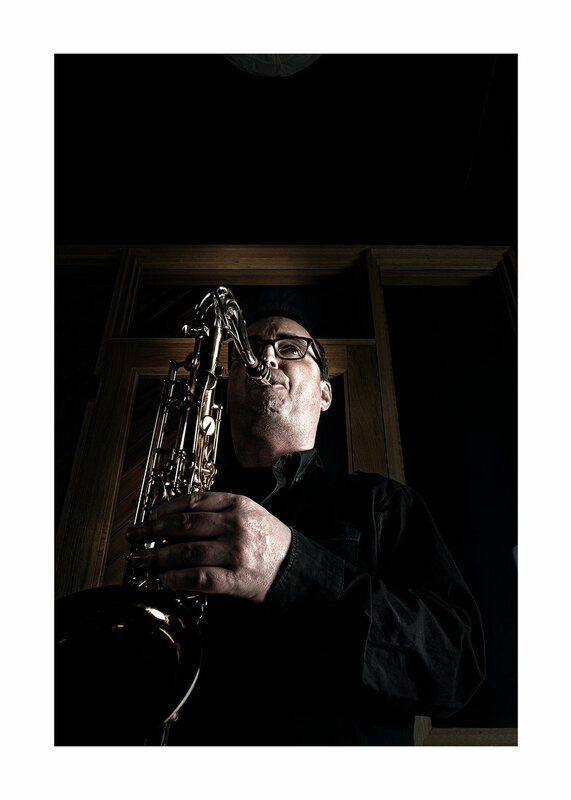 He has performed and recorded with such renowned artists as Dave Holland, Curtis Fuller, Mel Tormé, Kenny Wheeler, Jon Hendricks, and David Clayton-Thomas. 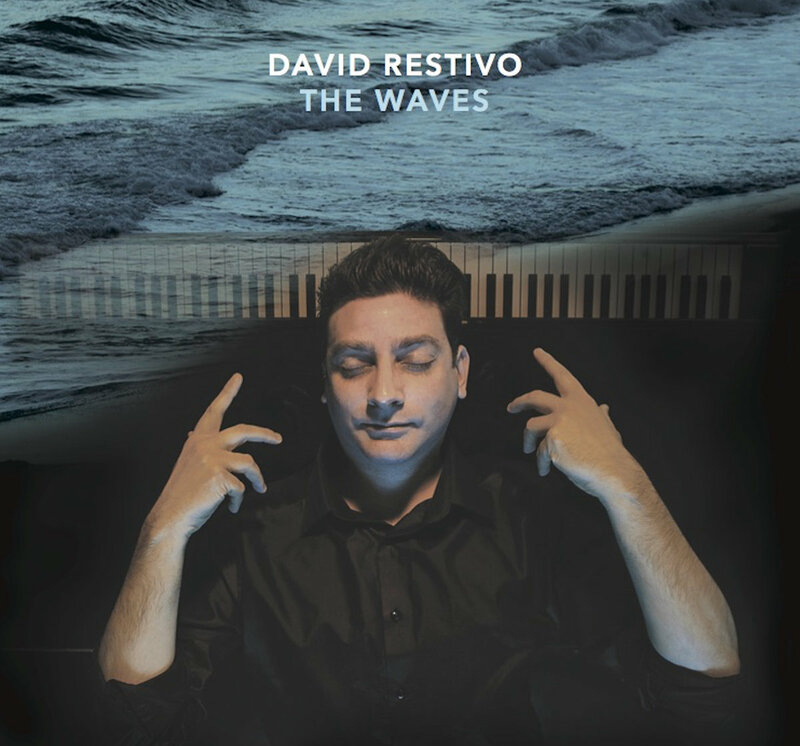 The Waves is a window into the array of implications and potentialities contained within the postmodern jazz landscape. 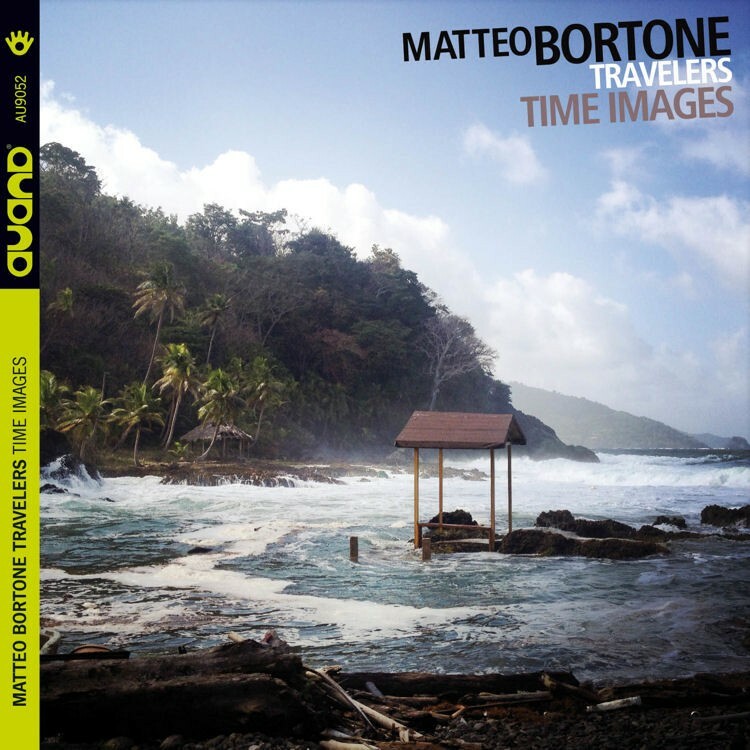 It hearkens back to the classic jazz quintet lineup of the 1950s and ‘60s, and to the idea of the album, a cycle of songs that, while diverse in mood and intent, flow together to form a complete artistic statement. The music looks to the future whilst firmly rooted in the traditions of the past. 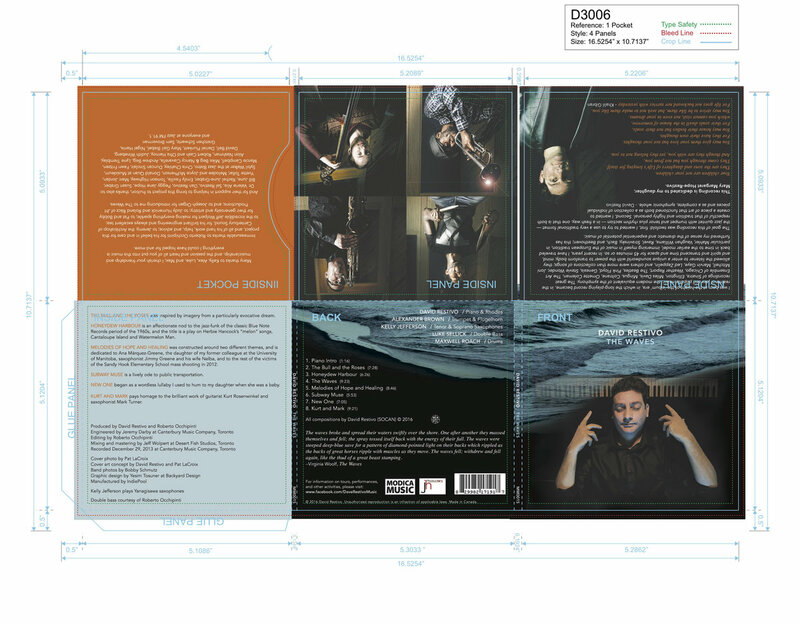 The spirits of Coltrane, Davis, Shorter, Hancock, Corea, Jarrett, Brecker, Joe Henderson, Ornette Coleman, Kenny Wheeler, and Woody Shaw form the molten core of this music, while those of latter-day apostles like Brian Blade, Kenny Garrett, Dave Douglas, Kurt Rosenwinkel, Gerald Clayton, Walter Smith III, and the Marsalis brothers radiate at the surface. 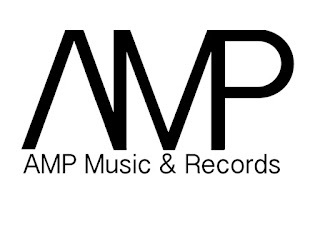 Bits of DNA from outside the jazz realm¬– from Led Zeppelin, Genesis, Joni Mitchell, Bach, and Mahler– permeate the atmosphere in subtle ways that might be perceived by the discerning listener. The title is evocative of the experiential power of music, of waves of sound that can wash over you like the waves of the ocean. The Waves is also the name of a 1931 novel by Virginia Woolf in which there is no external dialogue– all of the ‘action’ takes place inside each of the characters’ minds, so the reader is left to piece the story together from a series of alternating soliloquies representing each person’s inner narrative and perspective. 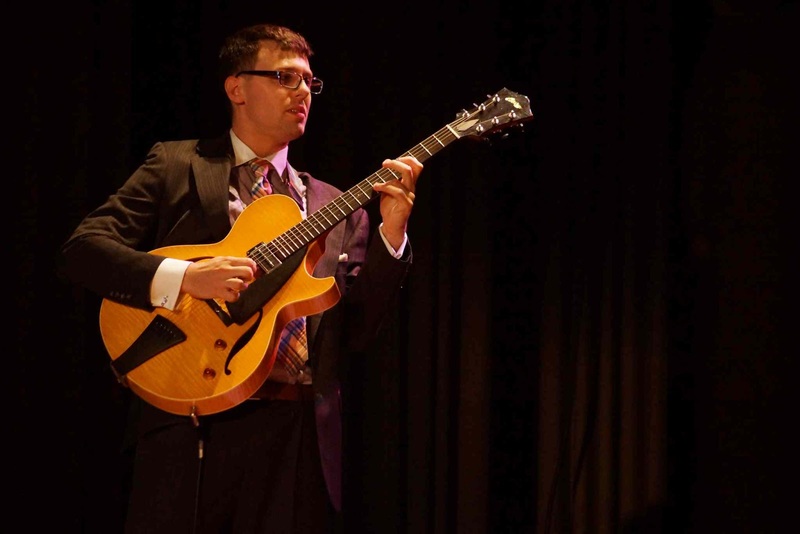 The beauty of Jazz is that it provides a framework for both musician and audience member to project their own narratives onto. I may have created the basic storyline, but each performer and listener is left to discover his or her own truth within that structure.